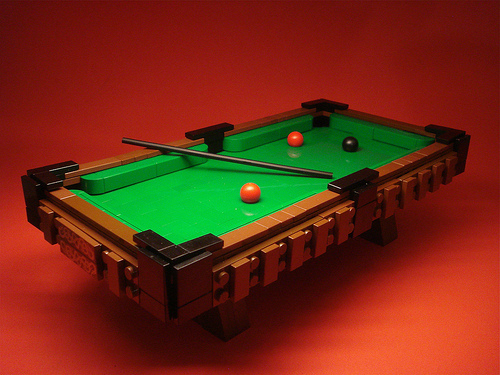 Alex Eylar (Profound Whatever) returns from a brief hiatus with this slick pool table. Good to have you back Alex, those cushions are top-notch. It’s Saturday night here in the States, rack em’ up! Check’s in the mail, Keith.